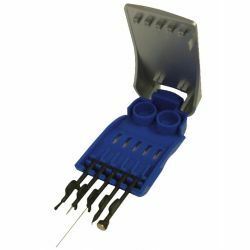 The Audio-Kit contains the five tools needed for fast, easy and effective daily hearing aid cleaning and maintenance. The five tools are built into a lightweight comfortable handle for ease of use. 1. Brush: cleans and easily removes wax and debris. 2. 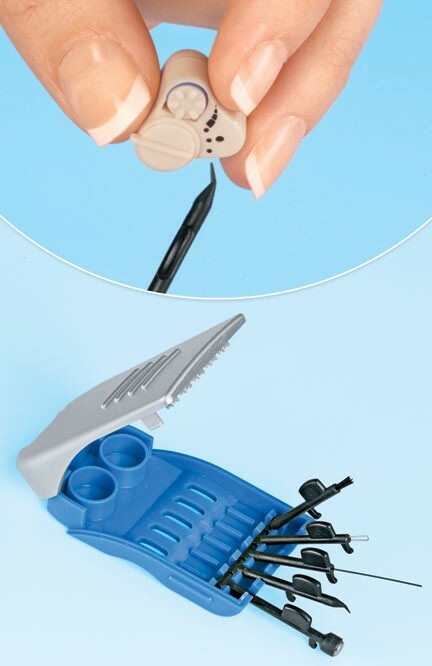 Pick: removes wax from small openings in the hearing aid. 3. Tube & Vent Cleaner: keeps tubes and vents clear of wax and debris. 4. Battery Door Opener: easily reach and open the battery door. 5. Battery Magnet: Helps remove and insert batteries. Includes a battery storage compartment for quick replacement (see images). Write a customer review and share your thoughts with other customers.